You must make reservations at least 5 minutes in advance of the time at The Yellow Pear Kitchen. We are a mobile kitchen on wheels. Whether we bring the truck or not we are your event specialists. Fine Dining to Casual affairs. Every event is customized to your needs. We pride ourselves on being boutique caterers. We want to be the new normal. High quality service and food at an honest price. What started out as a personal desire for quality mobile food options, has turned into a thriving family-owned restaurant and catering company. We take great pride in offering only the freshest organic foods and maintaining five-start quality ratings. 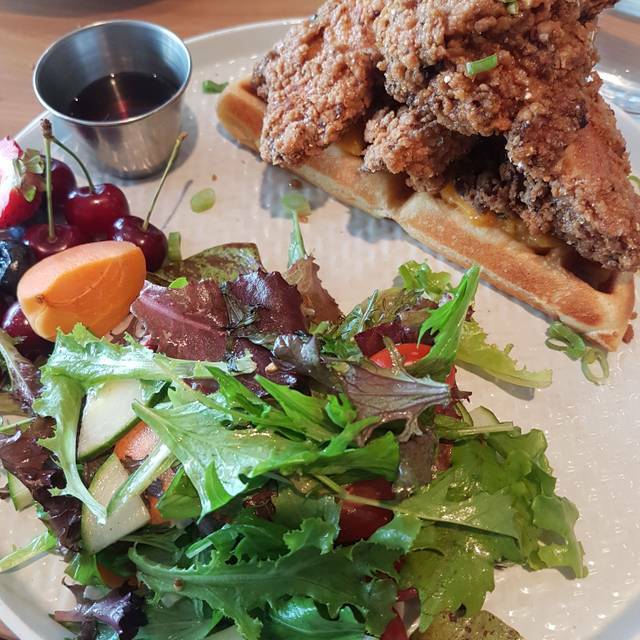 Yellow Pear Kitchen is the brunch restaurant that Niagara built. Brought to you by Jason and Nicole Sawatsky, the couple behind The Yellow Pear Food Truck. @YellowPearkitchen is a place where family is our inspiration and connecting over food is our focus. The ever-changing seasonal brunch menu will reflect our love through the wonderful products that Ontario has to offer. We welcome you to our home kitchen with 28 seats. Available for private events, catering, vineyard weddings and food truck. Email hello@farmtotruck.ca for bookings, buyouts and large reservations. We are not licensed. 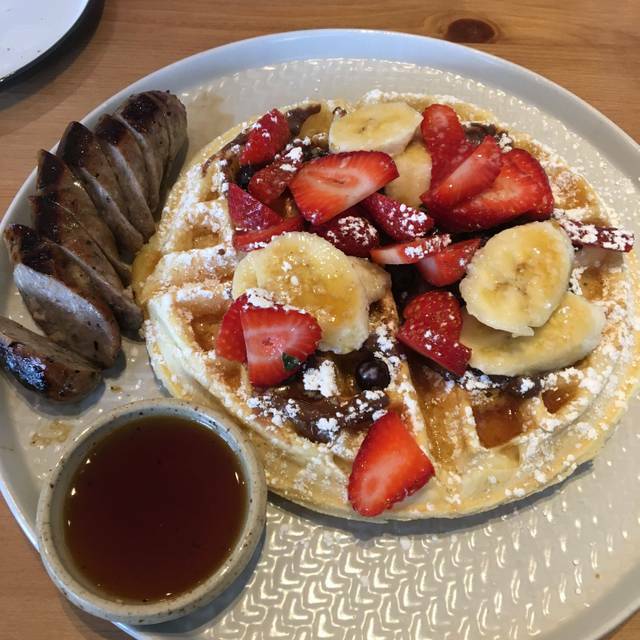 Hands down the best brunch in Niagara!! 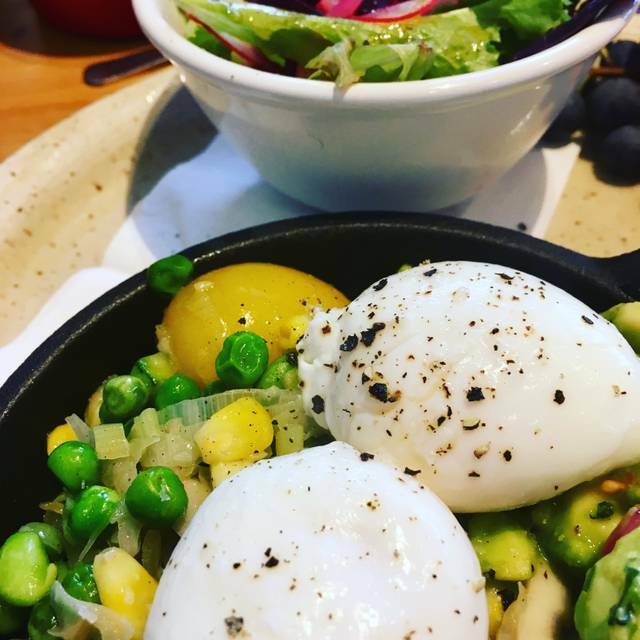 This time I tried the veggie benny and it instantly became my new favourite! consistently delicious food and great atmosphere ! What a wonderful dining experience!!! Not only the excellent food but all the little ways of making you feel at home yet also treating you as a special guest. Superb!! Well done. We met friends for brunch and couldn’t have been more pleased with our experience in this cute little unassuming restaurant. We all had a different type of Eggs Benedict and we all loved our choices! Our server was attentive and pleasant. 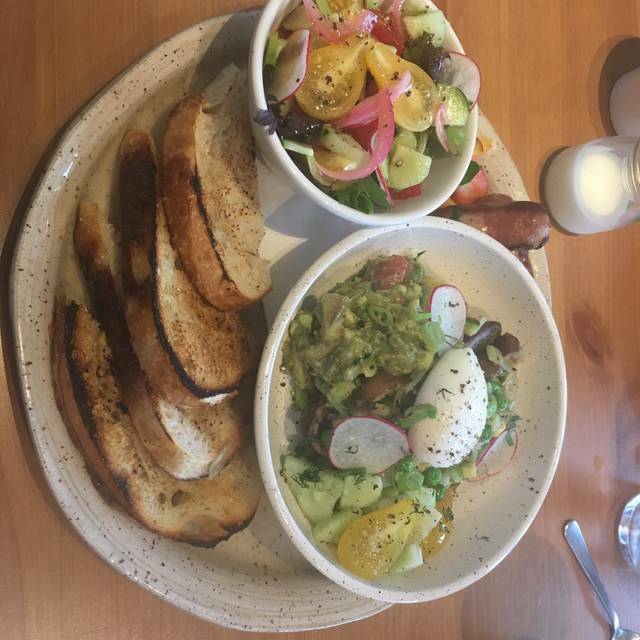 Would highly recommend The Yellow Pear Kitchen. This time, it was my sister's birthday. Thank you for making it extra special . Superb! Second time attending in 2 weeks and I live out of town. So good. Worth the drive. You taste the love they put in every dish! Flavours are always on point and fresh. Portions leave you satisfied both visibly and physically. Service is wonderful because they truly care. Always looking forward to their ever changing menu and next visit. Fabulous!!! Every time without fail. Unctuous. A magical party in my mouth. Thank you. 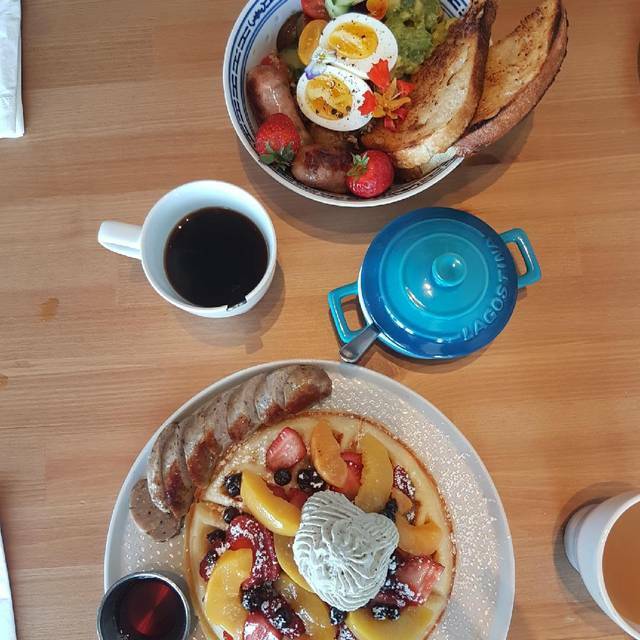 Easily the best breakfast/brunch experience you can have in St. Catharines. Jay & Nicole are two incredible people, and their hard work over the years has paid off immensely and it shows. If you have the opportunity, do not skip out...go to Yellow Pear. Your taste buds will thank you afterwards many times over. 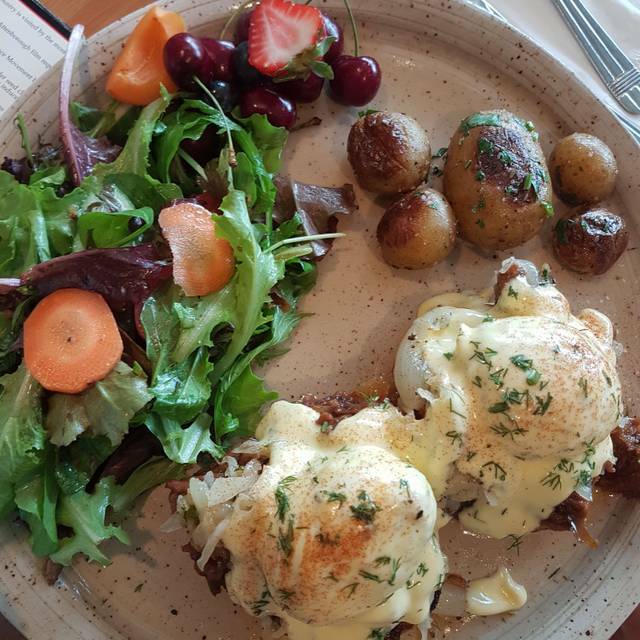 My crab eggs benedict was delicious. The portion size was healthy, but not overwhelming. I liked that it was served with a small salad. The server was attentive, checking in an appropriate amount but not too much. I did find the prices a bit high for brunch, but the quality was spot on; so the value was there. A great experience. I will definitely be back. Yellow pear was Too noisy, too cramped and overpriced for the value. The food was good, however my plate was removed from the table when I went to the washroom and I was not yet finished eating. We've been several times and will come back time and time again. Love the food, the service and the ambiance!! We had the Chicken Waffle and the Crustless Quiche and both were excellent. Would definitely recommend the Yellow Pear to our friends and go back ourselves. Still our favourite breakfast/brunch spot . Amazing food .. amazing service ! Thanks again for a perfect meal . This is our new weekend brunch place! Loved every aspect...service, decor and especially the fresh food. Be sure to reserve well in advance. This is my third time for breakfast. But not as good as the first or even the second. First of all I tried two different egg bennys: one beef brisket and one spinach and mushroom. I wish I'd just had the beef brisket because that was excellent! The other one not so much; the mushrooms tasted horrible and the texture was bad too. Very little spinach and peas and corn which I hadn't expected nor wanted. Not my thing at all. My daughter had the waffle and I had some of it - that was very good, not terribly sweet which was also good. However, I will return but so far out of all the egg bennys I've had, the beef brisket gets my two thumbs up. Amazing food. A little expensive, but that's what makes it so good. Everything is made from scratch... we even got a bonus piece of banana bread to share! Thoroughly enjoyed the fresh, wholesome, top quality food, the artistic and colourful presentation, and the friendly, knowledgeable staff. 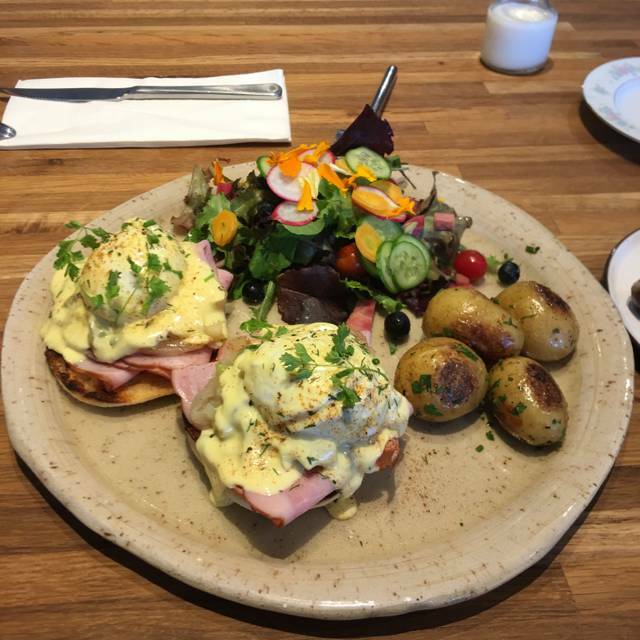 The Eggs Benny were perfect as usual. Two people had chicken and waffles - the chicken was delicious. Outstanding fine dining breakfast! Our second time and consistently delicious. The food was sooooo good. You can tell everything is made from scratch and with care. They live what they do and it's shows in their food. Eggs Benedict were amazing! Everything was so fresh and delicious! 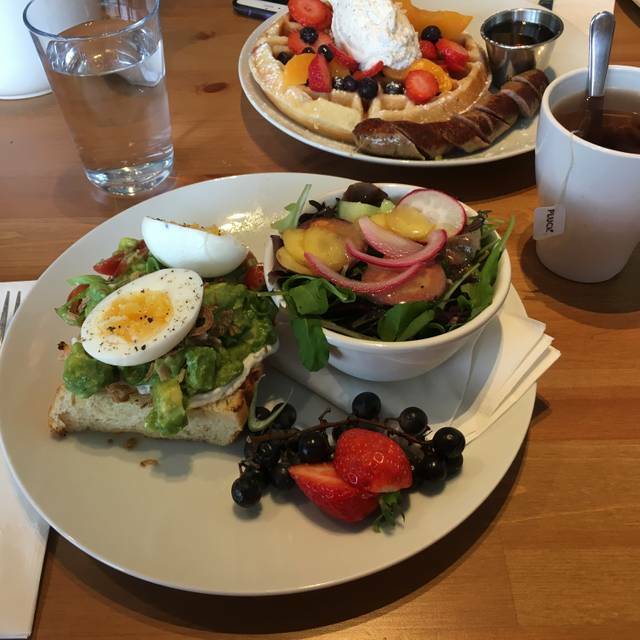 We will definitely have brunch at the yellow pear again soon!!! This was the third time eating at the Yellow Pear. The food has been consistently excellent and interesting. A great spot for brunch!! I took my 85 year old mom for breakfast , both her and myself were very happy with al !!!! Yummy , yummy , yummy. Fantastic! Best egg bennys ever. Banana bread was a lovely bonus as well. Great food and attentive service! The eggs Benedict meals we ordered were delicious. We will be back! Loved it. Food was delicious, staff friendly and efficient. 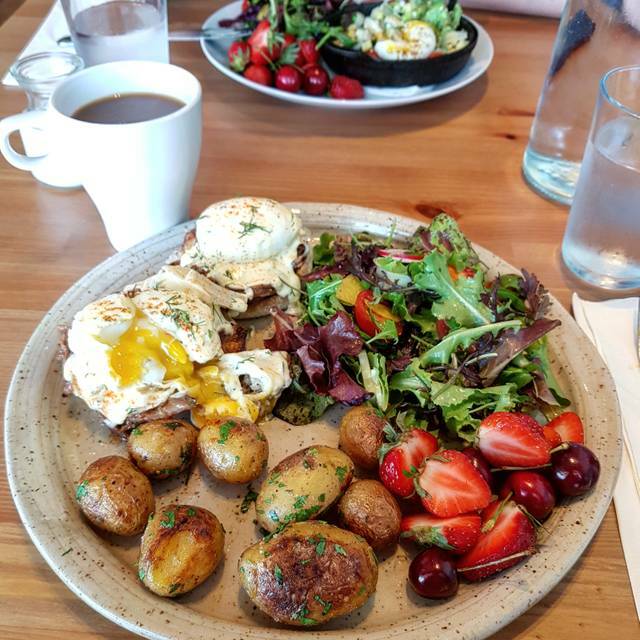 Cost is a little more than your typical brunch but totally worth the extra. I feel good about eating somewhere that supports local farmers. Great food at the yellow pear. Definitely recommended for breakfast. Amazing combination of flavors. Highly recommended !